Our shop in St Ives is on The Wharf overlooking Harbour Beach. We stock a comprehensive range of outdoor clothing, fishing tackle and other products including shoes, walking boots, knives, clocks, compasses and barometers. 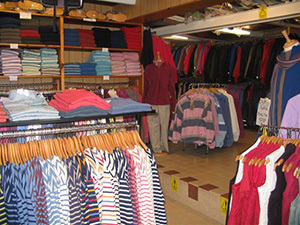 Our Shop - a comprehensive range of products.